So you’ve just had a dedicated agent (from emoov, no doubt) value your humble abode at a price that has you trying your hardest to contain all of the excitement. You crack out the calculator and do the numbers, seeing how many shiny gold coins you’re going to get when someone buys your awesome home. But then it dawns on you: selling a home is such a significant transaction. Do I have to pay anything to get it done? The bad news is, yes, you do. Unfortunately, selling your home isn’t free, even if you list it on Craigslist (don’t do that). The good news, however, is that we’ve put this post together to give you a clear idea of what selling your home entails from a financial perspective. Put the calculator aside for one second, and read on to find out how much it costs to sell your home. You need to pay a fee when instructing an estate agent to sell your home. How much you pay is dependent on which agent you instruct. If you go with high street agents, expect to pay a percentage of the property’s value. The average fee for high-street agents is between 0.5 and 3%. Let’s say that you sell your home for the UK average of £240k, with an agent fee of 1.8%; you’ll be coughing up a little over £4k. Ouch! If you use an online agent emoov, the fees are much lower. We charge a flat fee of £895, no matter how much your home is worth. You also have the option to pay up front or spread the cost over six months. Oh, and did we mention that you’ll save thousands? When it comes to using a solicitor, there’s no exact amount you pay – fees vary depending on which firm you hire. Some of them, just like high-street agents, charge a percentage on the final sale of your home. Others charge flat fees. Costs often vary between £500 and £1,500, though anyone charging at the lower end of the scale should be vetted properly. We understand the desire to save as much money as possible, but when it comes to legal details, make sure you’re fully confident in your solicitors. There are other factors to take into account, such as whether your home is freehold or leasehold, and if the property has a mortgage already. Basically, the more work the conveyancer has to do, the more they will charge. Of course, you could always use our in-house conveyancers, Myhomemove, for complete transparency over fees. For the sake of calculations, though, let’s round general conveyancing fees off at £1,000. Ok, so that’s two costs that you have to pay – no matter who you sell with – out of the way. But what about the other fees that you could be liable for? Unless you’re rolling around in dosh like Scrooge McDuck, there’s a good chance that your current home has a mortgage. It’s possible that you will need to pay a mortgage exit fee or an early repayment charge when you sell your property. An exit fee is your lender’s admin charge for clearing the balance, while an early repayment fee is if you decide to clear your balance early. Not all lenders apply these charges, but many do. If you need to pay a mortgage exit fee, expect it to cost between £50 and £300, while early repayment charges can amount to anything between 1% and 5% of the loan amount. And, guess what? We also have a trusty in-house mortgage advisory team who can get you the best rates if you do need to settle any mortgages upon selling your home. Final cost: £200 for exit fee and variable for early repayment charges. An Energy Performance Certificate displays information about the energy efficiency of your property. It lets potential buyers know how much they might spend on electric bills by offering a rating of A to G. We’re all aiming for that sweet A and trying to avoid the nasty (cost-heavy) G.
An EPC typically costs £75, though you can find them for cheaper (hint, hint: we sell EPCs in house for £70). They are stored digitally by the government and can be accessed via the EPC register. There is a high chance that you won’t have to pay Capital Gains Tax (CGT), as it only applies to people who own more than one property. Anyone who is selling a home that isn’t their primary residence will need to pay Capital Gains Tax, though it’s not quite that cut and dry. If you have owned the home for less than 18 months, then you don’t need to pay CGT. If you have owned the property for more than 18 months, you will be charged on how much the property has increased in that time. However, you can deduct things like any works carried out while you owned the home. It’s best to get advice from an accountant before selling a home that might be liable for Capital Gains Tax, so that you have a better understanding of what might be payable. Taking everything into account, the total cost for selling your home will range between £1,500 and just over £2,000. However, if you use a high-street agent that charges commission, expect the amount to rise to between £6,000 and £10,000. Nevermind the high street, though. Speak to one of our property experts who can advise you on every aspect of selling your home – from valuing your property to offering 24/7 support and even the initial part of conveyancing. Request a callback and sell your home the easy, cost-efficient way. 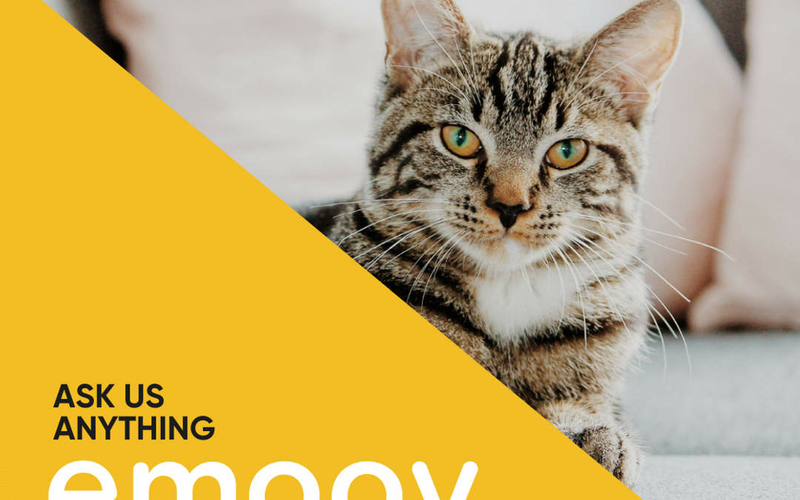 Emoov » Emoov News » How much does it cost to sell your home?